It can truly be said that Rolex makes a watch for every excursion and any occasion. From the Explorer and Air King to the Submariner and Yacht-Master the iconic Swiss watch brand covers all the fields of gentlemanly adventure. But the Deepsea 116660 – also known as the Sea-Dweller Deepsea – is hands-down its most ruggedly luxurious piece of wrist equipment. Its massive case equipped with Rolex’s patented Original Gas Escape Valve and Ring Lock System is rated to 12,800 feet and is said to be tested at over 15,000 feet. It’s also one of the best-looking and most distinctive Rolex designs ever with a black ceramic bezel (appearing more like dark grey) and blue-black gradient dial with the DEEPSEA legend in bright green. 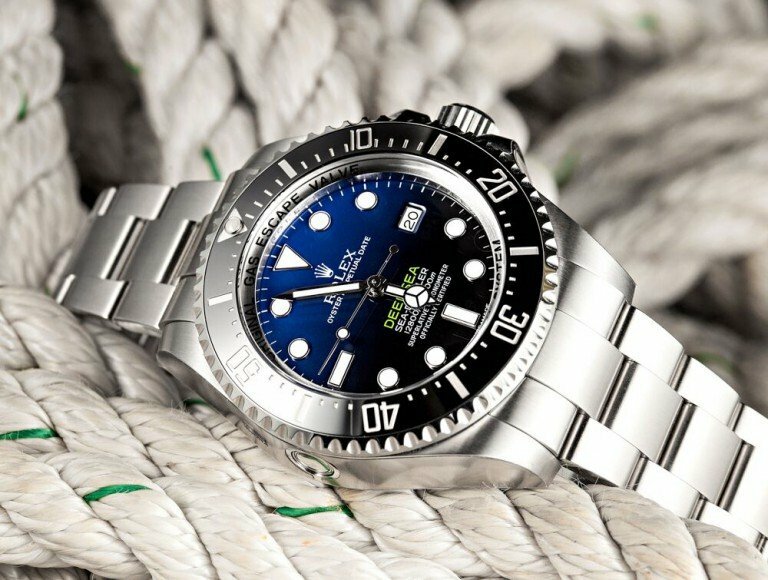 In some ways a sort of super-Submariner, at first glance, and to the untrained eye, the Deepsea resembles its more common sibling so that most people don’t notice the difference. Then again the Deepsea isn’t for most people. 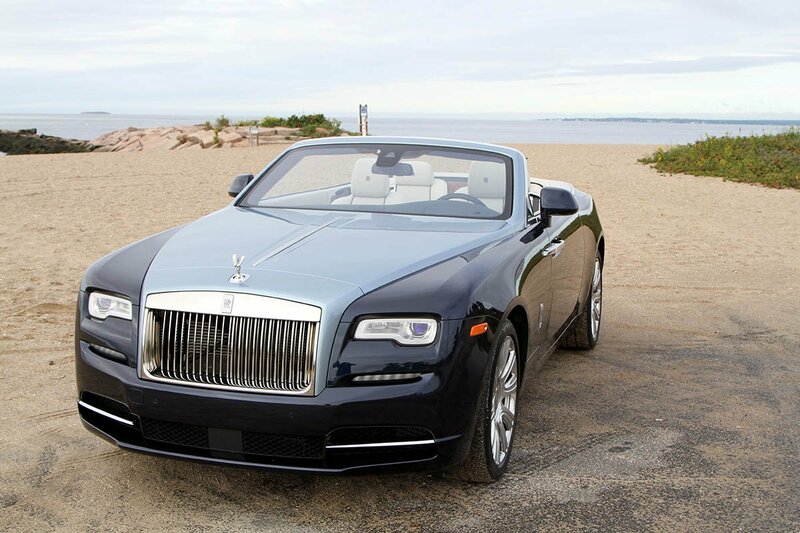 Which is why we selected it when we were in turn chosen to be among the very first to drive the brand new Rolls-Royce Dawn, the world’s most luxurious, exclusive and expensive convertible. With a base price of $335,000, it’s nearly $70,000 more than its closest competitor, the (almost) equally stunning Bentley Continental GT Speed Convertible. The Dawn also has more than a bit of nautical flair to its design, hence another connection to the stunning and rare Deepsea. Dubbed the sexiest Rolls-Royce ever built, the Dawn’s 6.6-liter twin-turbo V-12 gives out an impressive (to say the least) 563 hp and 575 lb-ft of torque. Like the Deepsea however its power and capability – 0 to 60 mph in a mere 4.6 seconds with a top speed of 155 mph – is cloaked in an extremely elegant, even understated casing, as much as a Rolls-Royce can called understated. 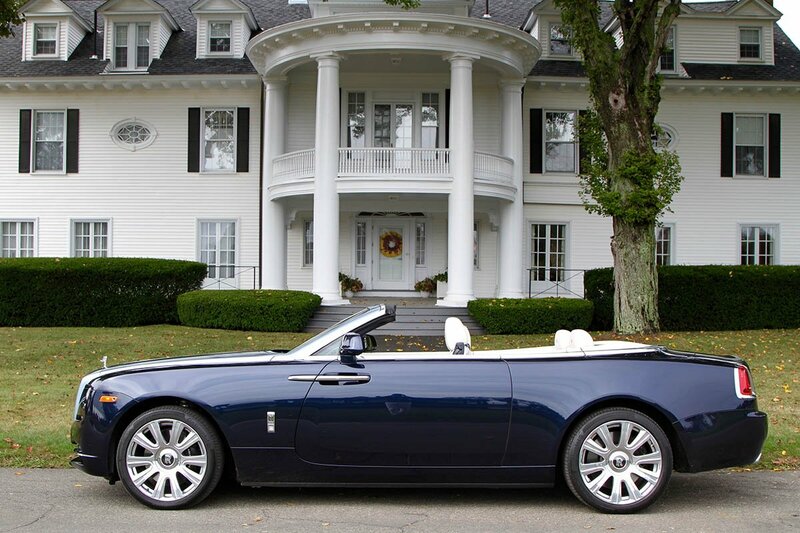 As with any Rolls, each is a bespoke creation with exterior paint, interior leather and wood, and various other flourishes which the owner specifies (spec’s in design lingo) when placing the order, thereby making each one completely unique. To emphasize the fact there were four very different Dawns at our disposal on our adventure. 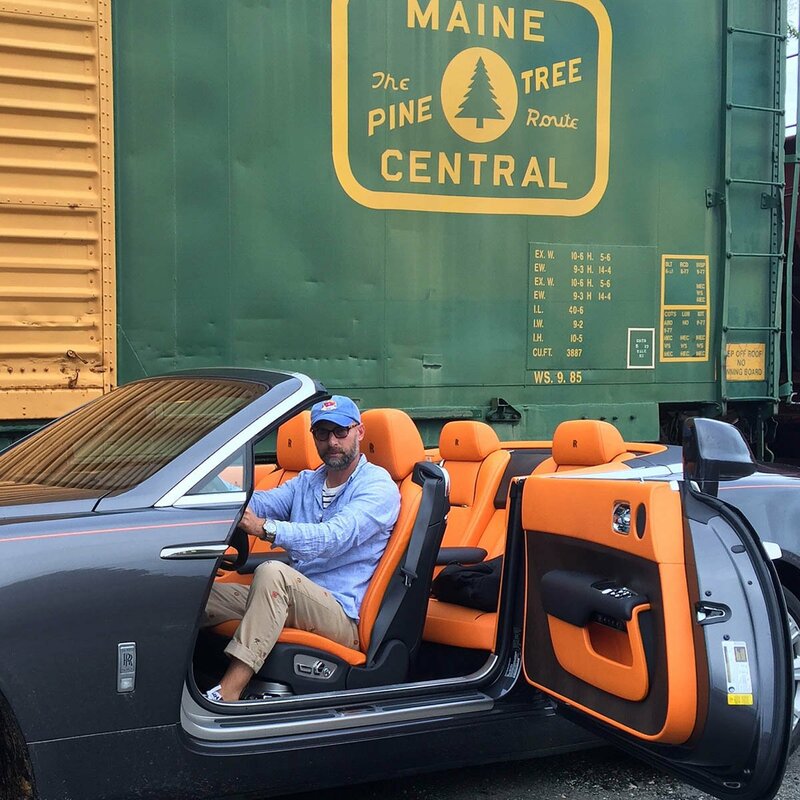 We drove two of the eye-popping autos over the course of our two-day journey from the yachtsman’s mecca of Newport, Rhode Island to the posh town of Old Saybrook, Connecticut. 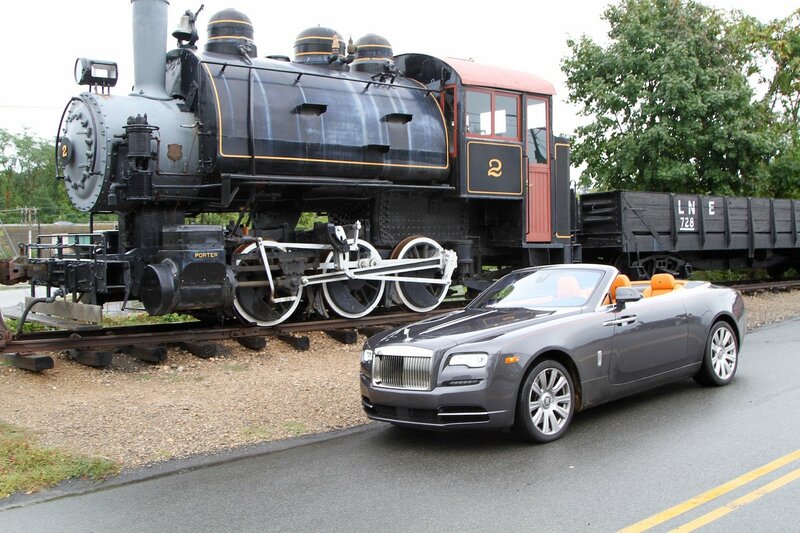 The first is one of the most stunning Rolls-Royces ever built, with a Gunmetal exterior and a two-tone Mandarin orange and black leather interior. The second followed closely in its wake with a two-tone Midnight Sapphire and Blue Ice exterior and Seashell and Navy Blue interior. 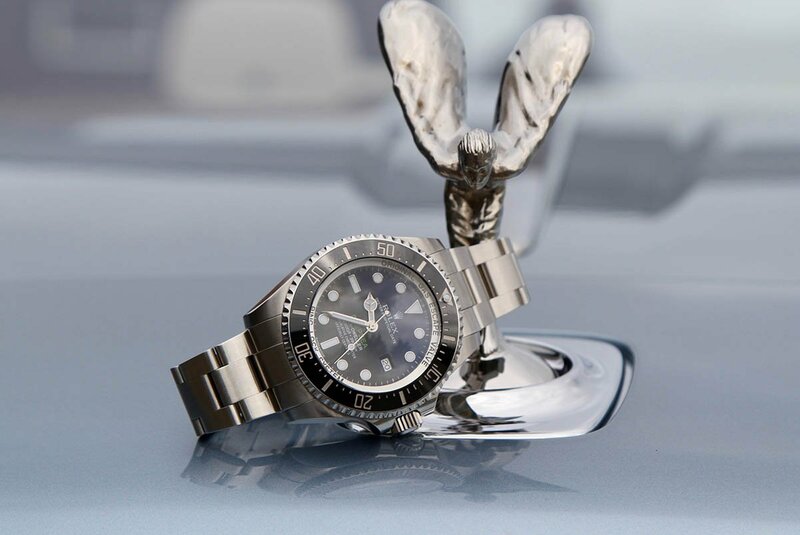 Both paired perfectly with the Deepsea to the extent that we could easily envision a partnership between the two brands at some point in the future. A Dawn with a Deepsea clock in it would surely be the ultimate watch collector’s vehicle. Now if they could just make a submersible version….